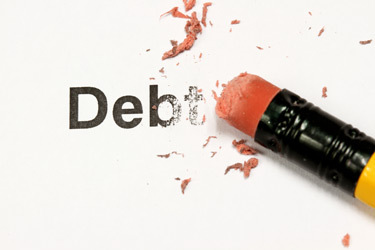 Maintaining and managing that credit - or debt - is an important part of financial health. As a result, 98.4% of consumers may only get confirmation about the state of the credit health, and become aware of how good - or bad - their credit management is, when they apply for credit. • First, obtain your credit report from one of the national credit bureaus such as TransUnion. You can get your report by logging on to www.mytransunion.co.za or calling 0861 482 482. • List all your active loans, credit and other account information from your credit report. Make sure to review the report carefully to ensure its accuracy. • Next, write down your total monthly income. • List all your monthly expenses. Don’t leave anything out and do not underestimate or write down what you think you could reduce your cellphone bill to - if you try really hard. • Calculate your monthly budget. • The next step is to try and reduce your monthly expenses so that you are able to save 10% of your income each month. • Examine your budget honestly and critically to see where you can realistically reduce your expenses. Decide what are “must haves” and “nice to haves”. Eat out less often; opt for a smaller DStv bouquet or cut out DStv altogether; reduce your expenditure on luxuries. • Now look for ways to reduce your “must have” monthly expenses. Carpool to save on petrol; conserve water; turn off lights when you leave the room. • Apply these savings towards paying off your debts. • Consider paying off any debts with high interest rates first; accounts above 35% of their credit limit; debts that are close to be being paid off; or those with high annual fees. • Finally, create a payment calendar with the due dates of each debt and the payment amounts - and stick to it. • Track improvements in your credit standing by registering for credit monitoring at www.mytransunion.co.za. • Set goals for your debts and do not forget to celebrate - within your means - when you reach a major debt reduction milestone.